For our 2013 Asia-Pacific Press Summit we are hosting a two day event with the top Asia-Pacific technology press in Phuket, Thailand during November. This press summit provides an excellent opportunity for you to meet with key Asia-Pacific press and analysts in a series of scheduled briefings to discuss the latest hot topics concerning enterprise networking and telecoms in a relaxed setting. Brief 30+ key Asia-Pacific press and analysts from China, Hong Kong, Indonesia, Japan, Vietnam, Thailand, Taiwan, Singapore, India, Malaysia, Philippines, Australia, New Zealand etc. NetEvents Hong Kong in April introduced the APAC press to the Software-Defined Networking (SDN) revolution with a keynote speech by HP Networking, followed by a major debate on its significance. Since then, interest in SDN and the OpenFlow protocol has exploded across the APAC region – becoming a key theme at Interop Tokyo with pioneering deployments by APAC service providers and institutions. We are privileged to introduce you to one of the leading thinkers behind this revolution – Rick Bauer, Managing Director, Technology, Open Networking Foundation (ONF).Rick looks behind the current buzz and tells the real story of why SDN – an old idea in itself – is at last going mainstream. He already has real case studies and breaking news examples, revealing what service providers can now do with this technology, the benefits they are passing on to their customers and how enterprises are responding to these benefits and wanting more. Have datacentre architectures evolved on the right lines for today’s dynamic business environment and targeted attacks? We’ve asked Camille Mendler to make a choice and come up with an outline of one or two recent high profile and interesting datacenter disasters – and then to challenge our vendors to do better. To respond we have a panel that includes service providers, vendors and key industry associations. This debate will cover practical solutions as to what must be improved. We all know it is easy to be clever with hindsight, so the challenge is not so much to focus with what went wrong in the past as to come up with positive solutions for the future. 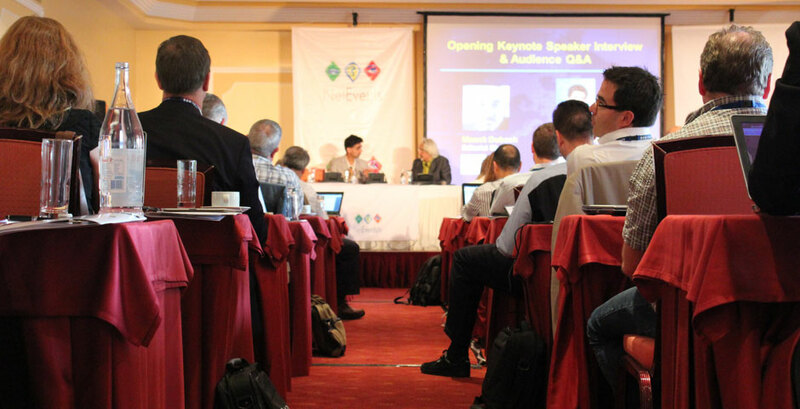 Conference Debate Session II—SDN – Fertile ground for a Network Apps Store? Rick Bauer has envisioned the major opportunities for service providers to enhance their infrastructure and offer new generation services to their customers, but Dustin Kehoe gives us a different take on SDN’s revolutionary potential – a more applications driven proposal. SDN allows the network to become programmable, with unprecedented flexibility, and OpenFlow provides a vendor agnostic protocol for SDN that has earned it the title “the Android of networking”. So, let’s pursue the analogy and picture the growth of networking “app stores”, where a new generation of network programmers can showcase their offerings, says Dustin Kehoe. And it is already happening. Is this a new business opportunity for service providers? Moving from a network connectivity based operating model to a new role as “applications broker”? Our panel debates this, the likely challenges of competing globally with Amazon, Google and Microsoft, and further opportunities around verticalization and radical new partnership possibilities. Debate II: SDN – Fertile ground for a Network Apps Store? Transcript – Debate II: SDN – Fertile ground for a Network Apps Store? Conference Debate Session III—Bring Your Own Disaster? Greater convenience, job satisfaction and productivity for the employees but, for IT it means managing a fourfold growth in multi-vendor endpoints, greater network permeability and new security risks – with little hope of commensurate budget and staffing increases. But BYOD is here to stay, and it’s growing huge.It’s a challenge for the enterprise IT department, but an opportunity for vendors – and we have a panel of them here each promising to tame the BYOD beast. Debate III: Bring Your Own Disaster? Transcript – Debate III: Bring Your Own Disaster? SDN represents an inflection point in networking that holds the promise of eliminating legacy human middleware caused by the command-line interface and paves the way for openness and innovation. The desire for automated and dynamic control over network resources is not new. However, with the emergence of technologies such as OpenFlow, the ability to implement complete SDN solutions to increase agility has never been simpler. HP began collaborating with Stanford on Project Ethane – the precursor to OpenFlow – way back in 2007.Kash Shaikh has been taking notes on this morning’s sessions and provides his views on SDN for the future. Today’s malware is not yesterday’s virus. Signature-based technologies like IPS and anti-virus software both within perimeter and endpoint solutions, are ineffective against the rapidly evolving, blended threat of advanced malware. To be effective, anti-malware solutions need to be intelligent enough to analyze network traffic and processes, rather than just comparing bits of code to signatures or lists.. In this presentation, Doug will discuss how the threats have evolved and what organizations must consider for proactive strategies for such advanced threat protection. As cybercrime evolves into organized crime, precisely targeted and highly automated combinations of malware demand equally smart defences. The recent Operation High Roller global bank threat raised the cybercrime bar by adding high levels of automation to the usual malware suspects. Whereas autonomous software agents had been used to penetrate or pave the way for cybercrime, the actual attacks had, until now, been carried out manually at human speeds. High Roller changed that.We invite Dustin Kehoe to send shivers down our spines with a few such recent and breaking horror stories – while glaring malevolently at our panel of experts – before inviting them to discuss what is being done by the industry to meet these challenges. We are interested to see them offer competing solutions, but Dustin Kehoe will also attempt to steer the debate towards a more co-operative conclusion: to what extent can the industry pull together to organize a united front against an increasingly organized enemy? As a concept, Cloud services make sound business sense – but can they deliver? For users accustomed to the immediacy of desktop software or high-speed corporate networks, … anything slower or less reliable would seem like a big step backward. Carrier Ethernet deployment, However, the deployment of high speed Carrier Ethernet is already changing the game in the US and Europe. Robert Kuse has many years experience in product management and business development with leading carriers such as BellSouth, AT&T and Cox Communications. His current focus is on Carrier Ethernet for business, wireless backhaul and carrier access services.In his capacity as Board Member and Director the MEF, Robert has been invited to briefly outline Carrier Ethernet’s growing importance for the Cloud. He will present us with some radical use cases hot from the USA – paving the way for our later discussions on the significance and role of CE 2.0. Introduced and Chaired by Clement Teo, Senior Analyst, Asia Pacific, Forrester Research, Inc.
No sooner had mobile operators addressed the challenge of smartphones and the explosion in backhaul demand, than they were faced with the choice of either migrating to 4G/LTE or losing their richest customers.Not surprisingly the data tsunami and mobile backhaul demand have dominated discussion in the last two years, and the MEF has responded with CE 2.0 and new specifications specifically addressing mobile backhaul. But it is time to look in greater detail at the route to global 4G services. Clement Teo will begin by outlining the less obvious challenges and what new ones could arise as the next generation grows up. Do our panel members have the answers? How can wholesale carriers help build end-customer ARPU? It’s the classic business dilemma: whether to address a cheap mass market, or to focus on the more lucrative premium service?For the carrier, cheap voice minutes do not themselves raise ARPU but can be a means to build a massive base, where even low-cost added services reap huge rewards. Compared with that gamble, premium services for a niche market are low hanging and juicy pickings – but they can ripen far too fast. New developments – the growth in wholesale carrier services and Carrier Ethernet 2.0 promising to accelerate the forming of internetwork partnerships – could have a big impact on the parameters of this dilemma, both reducing the risk of committing to a single strategy and raising wider opportunities for reaping rewards.It is a vital issue for the members of this panel, so we toss them this ball and let’s see what they come up with – and whether they see sustainable opportunities. Quick Fire—Show me the money – What new managed services will be top APAC enterprises’ wish lists in 2013? Quick Fire – Trimax – Show me the money – What new managed services will be top APAC enterprises’ wish lists in 2013? Transcript – Quick Fire – Trimax—Show me the money – What new managed services will be top APAC enterprises’ wish lists in 2013? Quick Fire – Verizon – Show me the money – What new managed services will be top APAC enterprises’ wish lists in 2013? Transcript – Quick Fire – Verizon—Show me the money – What new managed services will be top APAC enterprises’ wish lists in 2013? Our NetEvents APAC Press & Analyst Summit is co-located in Thailand with our NetEvents APAC Service Provider VIP Summit with a combined conference each day for the delegates of both events. | Size: 422 KB 21st Feb 2013 Debate II: SDN – Fertile ground for a Network Apps Store? | Size: 1 MB 21st Feb 2013 Debate III: Bring Your Own Disaster? | Size: 1 MB 21st Feb 2013 Quick Fire - Trimax - Show me the money - What new managed services will be top APAC enterprises’ wish lists in 2013? Quick Fire - Trimax - Show me the money - What new managed services will be top APAC enterprises’ wish lists in 2013? | Size: 878 KB 21st Feb 2013 Quick Fire - Verizon - Show me the money - What new managed services will be top APAC enterprises’ wish lists in 2013? Quick Fire - Verizon - Show me the money - What new managed services will be top APAC enterprises’ wish lists in 2013? | Size: 240 KB 24th Feb 2013 Transcript - Debate II: SDN – Fertile ground for a Network Apps Store? Transcript - Debate II: SDN – Fertile ground for a Network Apps Store? | Size: 130 KB 24th Feb 2013 Transcript - Debate III: Bring Your Own Disaster? Transcript - Debate III: Bring Your Own Disaster? | Size: 151 KB 24th Feb 2013 Transcript - Quick Fire - Trimax—Show me the money - What new managed services will be top APAC enterprises’ wish lists in 2013? Transcript - Quick Fire - Trimax—Show me the money - What new managed services will be top APAC enterprises’ wish lists in 2013? | Size: 217 KB 24th Feb 2013 Transcript - Quick Fire - Verizon—Show me the money - What new managed services will be top APAC enterprises’ wish lists in 2013? Transcript - Quick Fire - Verizon—Show me the money - What new managed services will be top APAC enterprises’ wish lists in 2013? UIH – United Information Highway Co., Ltd.